The War And Treaty - 'It's Not Over Yet' live on Mountain Stage. Michael and Tanya Trotter are the driving voices behind The War And Treaty. With an inspirational sound that blends classic roots, gospel and R&B with country and soul, The War And Treaty are a treat to experience live. Our Song of the Week comes from the band's first appearance on Mountain Stage: their soulful, gospel-influenced song "It's Not Over Yet." The War And Treaty's debut EP garnered a lot of buzz and led to Americana music luminary Buddy Miller stepping up to produce the band's first full-length album Healing Tide. Their exciting live shows have further cemented their status as a fresh band to watch. 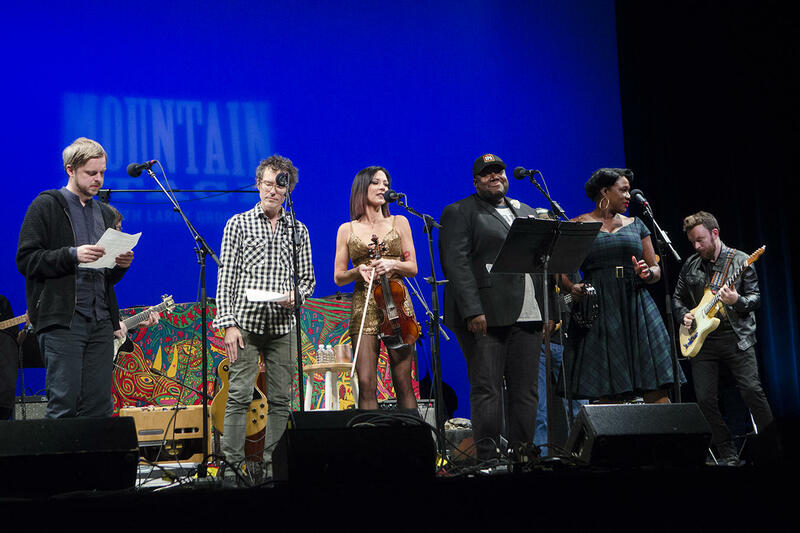 Hear their entire set on this week's new episode of Mountain Stage with Larry Groce, plus live performances from Amanda Shires, Israel Nash, Byron Isaacs and Teitur. Find a station where you can listen here, and stay tuned to our NPR Music page and our podcast for more chances to listen. Teitur, Byron Isaacs and The War & Treaty perform on this week's finale song.